Venn Pongal a popular savoury dish served in Tamil Nadu and the other South Indian states as a special breakfast dish. Venn Pongal is generally made from Moong Dal or Split Green Gram and served with Sambhar and Coconut Chutney. 14th January when the rest of India celebrates Makar Sankranti or Harvest Festival, in Tamil Nadu too celebrates the harvest festival, they call it Thai Pongal. The happy farmers thank the Sun God and Lord Indra for helping farmers in getting better-yielding crops. On this day the Tamilians make Sakkarai Pongal. Pongal means to “boil over” or “spillover” the rice and dal are made to spill over from the clay pot, a sign of abundance! 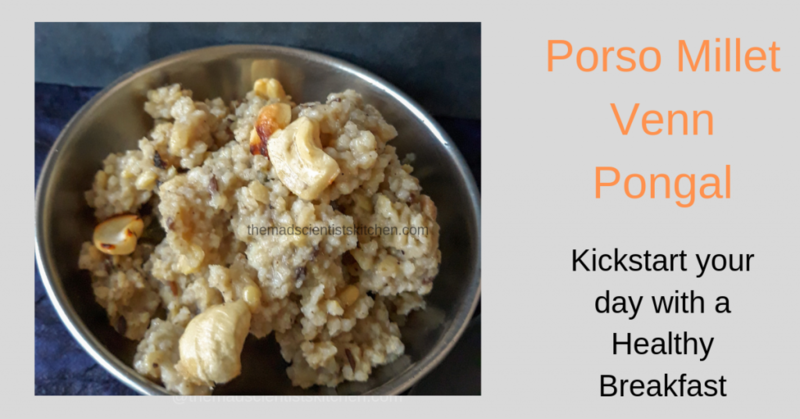 Sakkarai Pongal also Sweet Pongal is made for Pongal Festival in Tamil Nadu and is generally prepared in temples as a prasadam or an offering made to a deity. 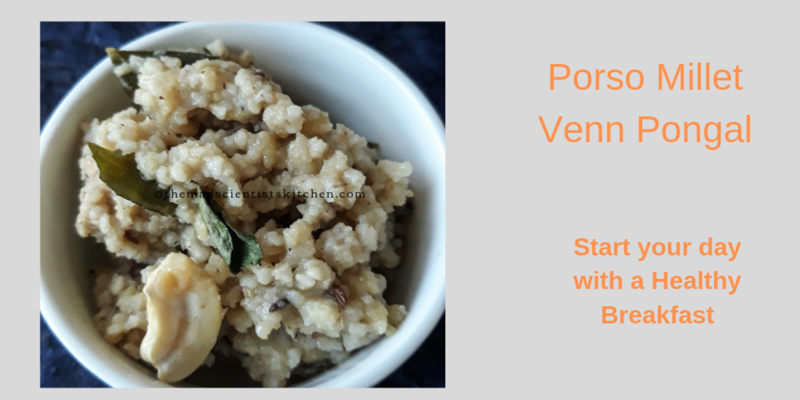 Venn Pongal or Khara Pongal is a popular savoury dish and is called Venn in Tamil means White. Melagu Pongal the Spicy Pongal is made with pepper or melagu, rice and moong daal. 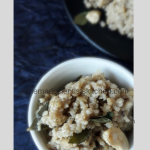 Puli Pongal is one Pongal that is made from tamarind and cooked rice. Puli Pongal is not associated with any festival but is popularly eaten for dinner. Those of you who have been reading about my journey in the world of cooking you will realise that I have started following a healthier diet. I have started using more of millets and quinoa, lentils, less of sugar and more of unrefined sugars. Accepting that it is us who need the Simple and Healthy Diet in Old Age, age is number but still, a healthy diet helps all ages. This month in for Recipe Swap Challenge I have been paired with Preethi Prasad who blogs at Preethi Cuisine. Preethi she is from a Tamil Iyer family but she has travelled extensively in the North. She was however keen that I feature a Tamil Recipe so what better in than Sakkarai Pongal. But then I did not want to move away from the diet we need to follow so I asked Preethi for the link for Venn Pongal. I have bookmarked some of her recipes to try but let me not bore you with my time management issues and give you the links to just check her site out. 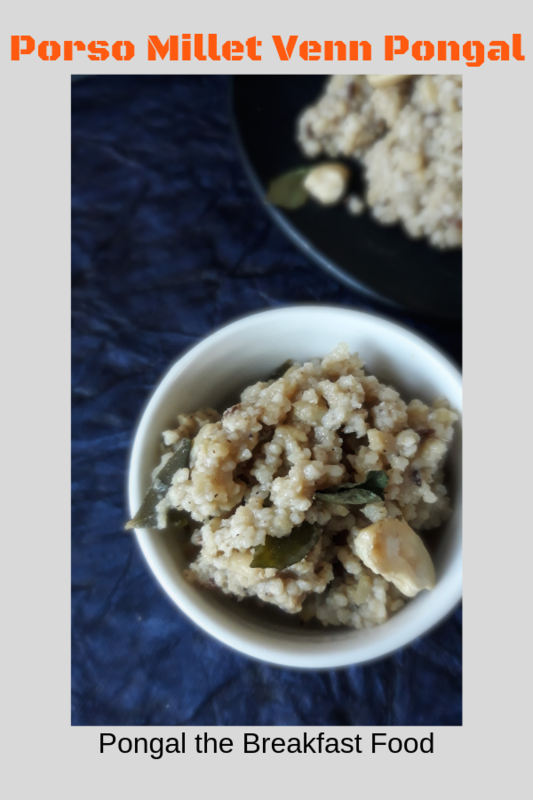 When I started making it I realised that I did not have quinoa so the substitution queen that I am I used porso millets to make it. Sometime back I have posted a table about the different millets. 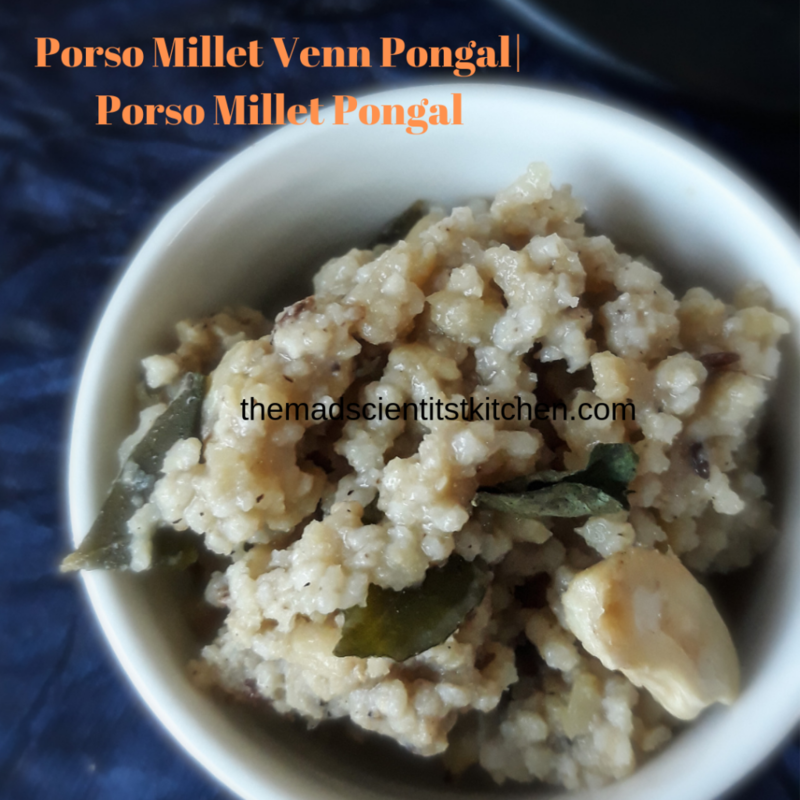 I am posting it here yet again and add this Porso millet to it. In the meanwhile do have a look at the recipe. Venn Pongal a popular savoury dish served in South Indian states as a special breakfast dish. Made from Moong Dal and Porso millets in this case. Dry roast moong dal till you can smell the roasted dal. Wash and rinse the porso millet till the water runs clean. Wash the dal too then cook the dal and porso millet in 3.5 cups water. Add salt and Pressure Cooker for 3 whistles. Let the pressure drop naturally. Once you remove the cooked mixture from the cooker mash it lightly. Set aside. In a kadhai/wok heat the ghee, fry cashews till golden. Add cumin and the coarsely crushed pepper. Let them splutter add hing and the spring of curry leaf. Add the millets and dal mixture simmers for 5 to 7 minutes. I love Venn Pongal! 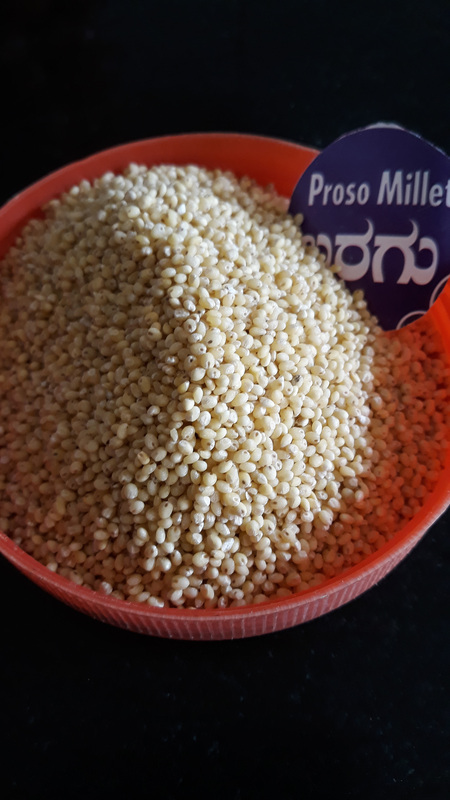 Interesting that you have chosen to make it with proso millet instead of the regularly used rice. It looks perfectly made, tasty and inviting!